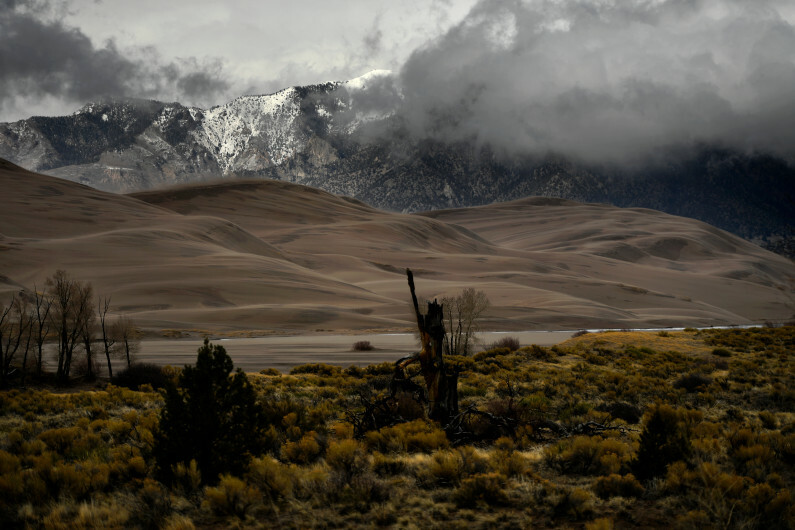 The beach at the base of the dunes at Great Sand Dunes National Park with the Sangre de Cristo mountains behind. April 31, 2017, Hooper, Colorado. The federal government’s push to open some of Colorado’s most pristine and delicate high country — near two sacred Navajo mountains and touching the Sangre de Cristo Wilderness — to oil and gas drilling has hit turbulence. The Environmental Protection Agency has asked the Bureau of Land Management to consider a delay. Thousands of residents have weighed in against the BLM’s planned auction of access to underground minerals. Navajo Nation President Russell Begaye on Thursday vowed to protect the beauty and sacredness of the land. Gov. John Hickenlooper said he takes the concerns seriously. And state lawmakers are fighting the sale and asking Colorado’s congressional leaders for help. Public land conservation groups, including Conservation Colorado, the Sierra Club and the National Parks Conservation Association, also strongly object. “This is the last place you would want any oil and gas development,” said Jeff Briggs, president of Citizens For Huerfano County.